one in five adults in England are unable to swim, that's more than nine million people – despite swimming also being the most popular participation sport in the country. We can help you to learn to swim and improve your technique. We offer swimming lessons with qualified instructors who are able to advise and guide you on all aspects of swimming. All the classes are taught in line with Swim England learn to swim pathway, with beginners to improver swimmers all catered for. We are running an 8 week course of lessons for just £40 commencing on Tuesday 23rd April. 12.30-13.00 Beginners - Perfect for those who are non or weak swimmers. The instructor will slowly build confidence in the water and introduce the basic swimming strokes. 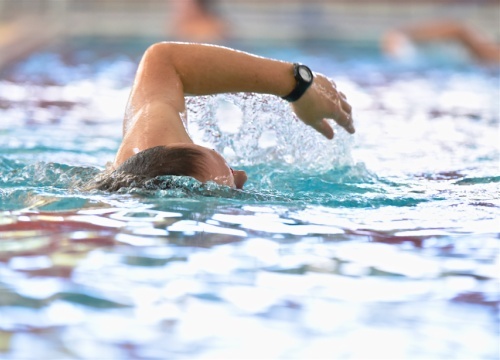 13.00-13.30 Improver - Aimed at adults that have a basic grasp of the swimming strokes and are looking to build on their technique and stamina. Booking can made at reception or please feel free to enquire for more information. Payment to be made upfront, no refunds given. It may be possible to enrol onto the course once it has started, payment will be charged on a pro rata basis.